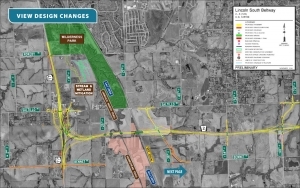 A major speedup for Lincoln’s South Beltway is unveiled. Governor Ricketts announces at a news conference that construction of the Lincoln South Beltway will be completed in three years instead of the originally anticipated eight years. 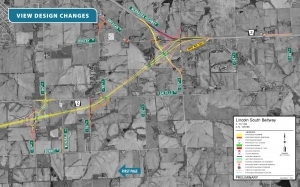 The Lincoln South Beltway will improve east-west connectivity for regional and interstate travel through Nebraska by connecting Nebraska Highway 2 on the east side of Lincoln to Highway 77. The long-awaited project will provide regional travelers and commuters a freeway around Lincoln, while also reducing the number of trucks and traffic driving through Lincoln. Transportation Director Kyle Schneweis says that they are able to shorten the time frame for the $300 million dollar roadway by using some creative techniques including consolidating the originally planned five phases of the project into one. He says that they will still pay for the project over eight years. Shneweis says that construction is expected to begin next year.